The fourth of the monthly concerts in the Investec International String Quartet Season. The Carducci Quartet first played for Leamington Music in 2009 and this is its sixth concert in the town. 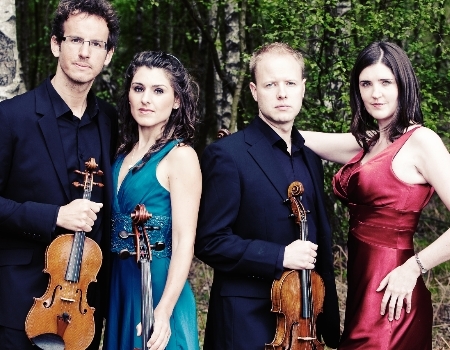 The Quartet toured extensively in 2015 with Shostakovich's full cycle of quartets and last year Philip Glass's third quartet was played in Leamington by the Royal Quartet from Poland and was wonderfully received. Concert generously supported by The Arts Society Royal Leamington Spa.